Photo courtesy Thank You For Playing. Documentary filmmaking is hard work. Typically, producing a documentary film requires months of background research, developing a budget, creating a production outline, making a shot list, and finding cooperative characters to tell their stories — and that’s before filming even begins. A group of filmmakers in Canada took their project one step further — by adding an interactive game element to their project. “Thank You For Playing,” produced by the National Film Board of Canada, is part documentary film and part web game. The game simulates how casino games that reward users with positive reinforcement can lead to gambling addiction. In Canada, revenue from gambling is used for infrastructure, health care, social services — and even preventing and treating gambling addiction. 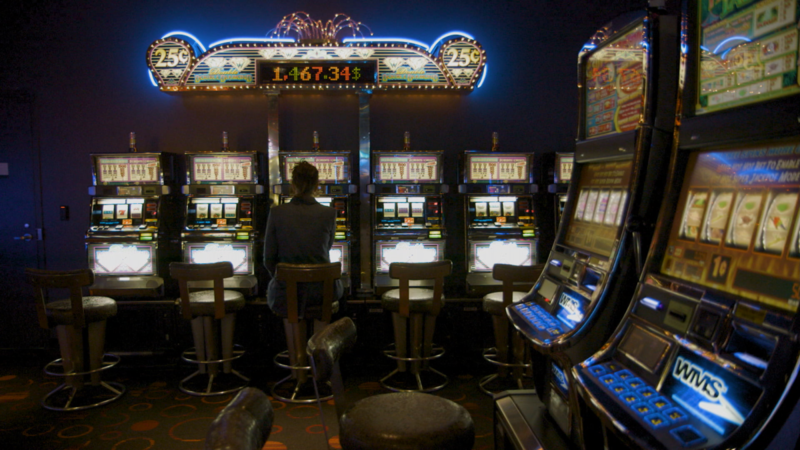 More than 35 percent of those revenues come from individuals with a gambling problem, according to the film. It’s a paradox that the film’s director, Andréa Cohen-Boulakia, said she found fascinating. The goal of “Thank You For Playing,” which was released in December, is to bring awareness to the public health issue of gambling addiction. The filmmakers initially intended to focus on how the casino industry targets elderly people who often have a lot of free time, money to spend and are no longer active in society. But after spending months traveling throughout towns and provinces across Canada to do research and interview prospective characters, Cohen-Boulakia found a more compelling story: the risk of gambling addiction as a result of being in a vulnerable emotional state. She saw that, as with any vice, some individuals are more prone to addiction than others. For most gambling addicts, the addiction is the outcome — not the original source of an individual’s problems. The film opens up with a digital version of the shell game: the viewer, now the player, is presented with three icons. The icons are quickly shuffled and the film’s narrator directs the player to watch closely in order to uncover the icon that’s in the shape of a heart. As the game continues, there are more icons are they are shuffled faster as the game becomes more challenging. The viewer can then choose to watch one of three stories, each about a different subject who is recovering from a gambling addiction. Those characters, including one subject whose three-year-old daughter had been diagnosed with leukemia, explain how they saw gambling as an escape from their personal problems. The chapters of the film are interspersed between more opportunities to play the shell game, which continues to increase in difficulty. The slot machine-like game allows the viewer, who has now become the player, to witness firsthand the adrenaline rush and excitement that come with winning a game — as well as the desire to keep playing. That’s an especially important component to include when the three subjects of the film cannot touch a machine themselves. Both the game and the film had the same goal — to educate. The goal was to have the game not match the experience of the characters in the film, but to create a new parallel and connecting experience. That required a team effort between the programmers and the producers, and it’s the part of the whole project that took the longest to complete, Cohen-Boulakia said. Cohen-Boulakia said as an educational tool, she hopes the film will bring more awareness about addiction and lead to more open discussions about what leads someone to go down that path. Ideally, the risk and reward aspect of playing the game can offer insight into how individual might feel while gambling. Knowing early on that someone is susceptible to addiction might prevent the kind of dramatic outcomes in which people later find themselves when they are struggling with addiction. Cohen-Boulakia had even heard stories of addicts committing suicide. She said schools can have stronger prevention programs and hopes even kids will watch the film and begin to think about the issue. Bianca Fortis is the associate editor of MediaShift, a founding member of the Transborder Media storytelling collective and a social media consultant. Follow her on Twitter @biancafortis.